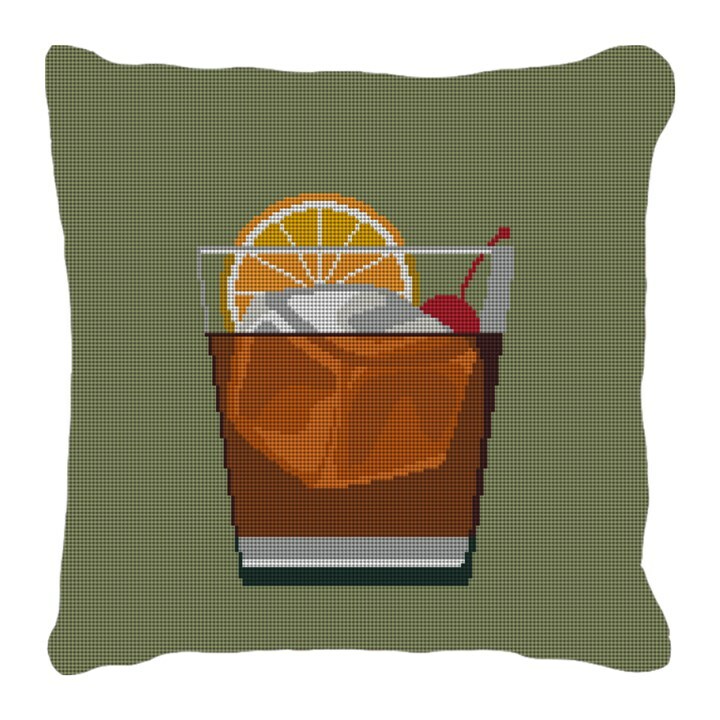 One of the oldest mixed drinks, the Old Fashioned is as traditional as they come! Today it's a bar standard: made by muddling sugar with bitter, then adding whiskey, and finishing with a final twist of citrus rind. This beautifully stitched and finished needlepoint pillow will add a special touch to your living space.